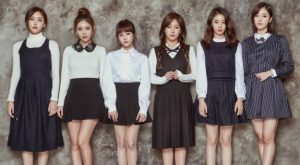 As the usage of social media increases rapidly, it is more than to be expected that a lot of people share their daily activities in an online medium, be it in words, photos, or videos, including K-pop idol groups like T-ara, who most of the people know to consist of a six member girl group, namely Jiyeon, Hyomin, Soyeon, Qri, Eunjung, and Boram. 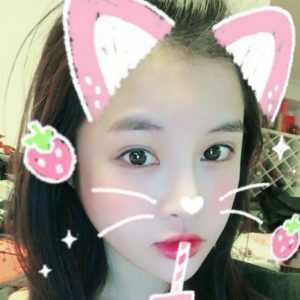 One of the most popular social media platforms these days is Instagram, which all of T-ara members have an account on. In this article, Channel-Korea compiles T-ara members’ top 10 best photos which they have posted on Instagram. So, stay tuned! The first T-ara member (or rather, former member) we discover is Boram, whose Instagram username is @bo_ram_0322. Compared to the rest of T-ara’s members, Boram is considered to have few photos on her account. 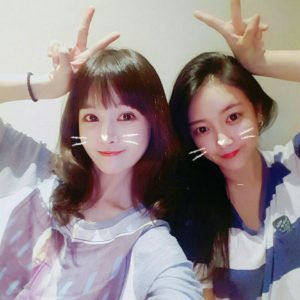 In the first picture, above, which was posted on 16 April 2017, Boram took a selfie with a white kitten filter with fellow T-ara member, Soyeon (who coincidentally has also left T-ara). In the caption, Boram said that she and Soyeon went to buy books, go to church, and ended up staying overnight on Soyeon’s house. In this post, Soyeon also left the comment, “I’m staying right now” with the emoji of a palm tree and a shining star. Ooh, we love a sisterhood! In the second picture, Boram shares another cute selfie from 28 January 2017. However, this time Boram was alone and used a pink kitten with straw and strawberries filter, and captioned it with emojis of two shining stars with strawberry in the center. In the third picture, Boram shares a four-set selfie with various kinds of facial expressions on 30 November 2016. With the rosy lips, large eyes, and the black and white striped tee, Boram looks flawless, right? 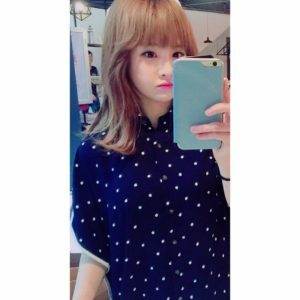 In the fourth picture, Boram shares a mirror selfie on 3 January 2016, with her iPhone that is covered in a baby blue case. Although frowning, Boram still looks cute! In the fifth picture, Boram shares another four-set selfie at a more close distance on 10 December 2015. We can see that Boram took these photos of herself while lying flat on her stomach, as her tiny feet and black pants can be seen at the back of two of the photos. In the sixth picture, Boram shares a friendly picture with the co-star of her web Drama, Kim Shi Ho, on 13 November 2015. Wearing a long white shirt and grey A-line skirt, while leaning slightly against the actor beside her, Boram’s gaze looks sweet, right? In the seventh picture, Boram shares a photo of her makeup stylist, who put a lip tint on Boram’s lips. Wearing a loose white shirt with black stripes and her brown hair in a bun while looking in a daze, Boram could be mistaken for a little child! In the eight picture, Boram shares a photo of herself with her older sister and niece on 28 August 2015. In the caption, Boram wrote, “I am really really happy with this photo with my unnie and our lovely Yura. We go to Japan together and eat, many memories have been experienced. Indeed, it is a great day.” Aww, such a family woman! In the ninth picture, Boram shares a photo of hersekf with her fellow T-ara members in the waiting room on 30 August 2015. In the caption, Boram wrote, “Six sunflowers have blossomed’”, referring to the sunflower headdresses which all the T-ara members wore on their heads. In the tenth picture, Boram shares a two-set selfie on 4 March 2016. In the caption, Boram wrote, “Only one minute. Look. Chungju”, referring to the Jenny House green mask bag which she posed with. The second T-ara member that we discover is Eunjung, whose Instagram username is @eunjung.hahm. Among the T-ara members, Eunjung often uploads aesthetic pictures with a pretty color palette, which the viewers find pleasing, just as in the first post above when Eunjung shared three photos in a monochrome vibe on 25 January 2018. In the caption, Eunjung wrote, “Finally the new year meeting. Heo Jin Ho-Ho always in the middle” and tagged the Instagram users that she took the selfies with, her friends @cocoerin_kyoi and @fiatgh. In the second post, Eunjung shares three photos of herself sitting in a restaurant in various poses, such as looking away, sipping her glass, and smiling in a blurry one. In the caption, Eunjung wrote, “Dinner with my friend after a long time #It’sFun”. Hmm, aren’t you curious about Eunjung’s dinner mate, dear readers? In the third post, Eunjung shares two black and white mirror selfies of herself sitting in a chair on 3 January 2018. While looking chic with her outfit, shoes, and handbag all in black, Eunjung wrote the caption, “Eating the tasty food and fall back again”. In the fourth post, Eunjung shares a beautiful picture of herself holding a bucket of flowers close to her nose, while closing her eyes and smiling calmly on 31 December 2017. Eunjung wrote a heartfelt caption: “I am very impressed with the little flowers in the award show yesterday. Thank you very much. Thank you <3 to MBC Drama too, but I am grateful for the drama in 5 years. I feel honored and happy because of the award for New [Actress] Award. Congratulations to director Gyung Joon-Joon and to all people, be healthy and happy”. 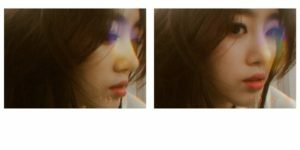 In the fifth post, Eunjung shares two close-up photos of herself looking gloomy yet still ethereal on 22 December 2017. In the caption, Eunjung wrote, “Ever since then, blood” which perhaps refers to her being unwell. Uh oh, get well very soon, Eunjung! 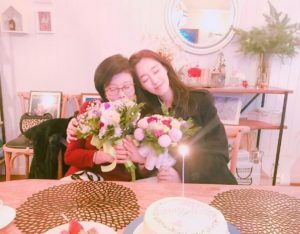 In the sixth post, Eunjung shares a photo of her along with her mother while holding two flower buckets in their hands on 17 December 2017. In the caption, Eunjung wrote, “I am happy whenever I have my birthday…the day I was born, it was not only the day I started my life it was also painful very happy. The day when my mother had a lot of trouble, I am very happy to give you happiness and I am sorry”. Aww, what a sweet daughter! In the seventh post, Eunjung shares three photos of herself in an exhibition on 16 December 2017. While wearing a black and white square-patterned loose shirt, and a black handbag on her left shoulder, Eunjung wrote a short caption: “12 days after 12 pm”. In the eight post, Eunjung shares three photos of herself with various kinds of frames, angles, and poses on 17 December 2017. In the caption, Eunjung wrote, “On the day of my birthday, dress? ) I will wear it… <3”. In the ninth post, Eunjung shares three pictures of herself with a maple tree on 28 November 2017. In the caption, Eunjung wrote, “Goodbye autumn.. #Don’tGo”. Aww, seems like Eunjung’s favorite season is fall! In the tenth post, Eunjung shares a revealing photo of herself wearing a black swimsuit on 4 September 2017, which was taken at Park Hyatt Busan. In the caption, Eunjung wrote, “Why was my first after swimming photo taken like this… #1DayTrip”. Lol, you still look cute even if you look a little messy, Eunjung!